Have you ever spent hours working on your resume only to find that it’s quickly rejected after hitting “send?” Not a great feeling right? Well don’t worry – you are not alone. I work with clients each week who are producing some pretty amazing results in their job searches. Their stories might be your stories so I hope you’ll benefit from learning more about what they’ve done that makes all the difference. Robin came to me for branding help and we gave her a total makeover on her resume, Linkedin and cover letter. Being that it was later in her career, she was hoping to make her next move the right one – something where she’d be fulfilled but also be able to capitalize on her years of solid experience to really shine. She also was targeting a shift from an individual contributor role into management and senior leadership. Being a busy executive, she knew that she didn’t have the time to work and rework her resume over and over and over again… so she came to us for help. We got her all set up with The Works and she was on her way to apply for jobs. As Robin was applying to jobs she noticed that she wasn’t receiving the response rate she had hoped for. Since we offer a 30-day guarantee on all resumes, she came back to us to let us know something wasn’t quite right. Our guarantee is in place to ensure that we are on target just as much as our job seeker clients and so we immediately reviewed the job descriptions to see where things were off so we could perform any rewrite work. No, this is not something all resume services will do (compare different resume services and what to expect here) but we kind of have a thing about getting it right AND seeing our clients succeed, so we were on it! After reviewing the job descriptions it was clear why Robin wasn’t landing interviews with her new resume: She was way too overqualified. BEWARE: This is a very common application error and one of the main reasons most applicants never hear back. We were able to identify some hiring language that indicated she was better off targeting higher level roles. We even did a preliminary search for better-fit opportunities and sent a few job descriptions to illustrate better-fit roles. Robin took the ball and ran with it now that she had this much clearer picture of where she was a “fit.” She put herself out there and remained active in pursuing new job applications and although it took a little time, she realized timing was everything (and worth the wait)! She didn’t allow herself to get discouraged. Rather, she remained positive and invested in her search and her investment paid off. A few months later, timing had worked out in Robin’s favor and she had MULTIPLE interviews scheduled. I’m talkin’ life-changing opportunities that don’t come along every day. And the beautiful thing with multiple opportunities is that you really get to be selective. She knew she didn’t want to risk not having a selection of offers so she got back in touch with our team for interview coaching support. And of course, we were ready to support! If you’ve been interviewing and haven’t received offers, here’s what you need to know. She felt great about her interview skills but needed help with a few specifics like asking great questions to her interviewers and crafting unique “thank you” notes for her follow up. We took these pieces off her plate so she could focus on preparing her answers. To access these thank you templates and make your life easier, sign up for membership to the NG community. Robin was resting easy, knowing that the little things were being attended to but she also needed a way to stand out. 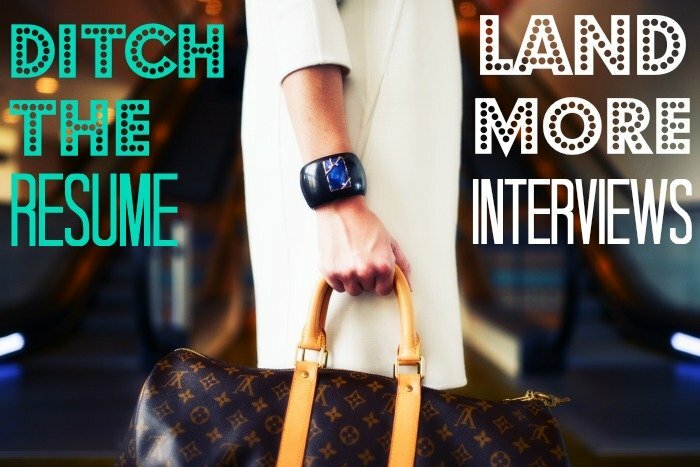 Partnering with our interview standout expert, Robin learned how to stand out and highlight her expertise through a strategic interview presentation. This gave Robin the extra edge by teaching her how to take control of the interview conversation and communicate to her interviewers she was serious, qualified and ready to hit the ground running! A new resume, alone, won’t seal the deal. If the job search isn’t your thing, don’t be afraid to access help at every step of the way (until the offer is in hand)! A big congrats to Robin on her success! If accessing the right tools/experts is something you haven’t been doing in your job search, take it from Robin: it makes all the difference! I hope Robin can be an inspiration to you as you continue down your career path. 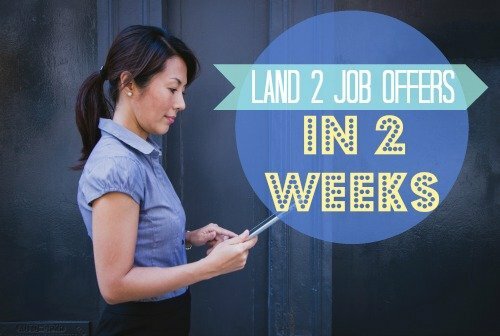 It’s never too late to try something new to shake up your job search. And you can never have enough support from the experts!